Twenty five years ago, Disney's tribute to Hollywood opened its gates for the first time! 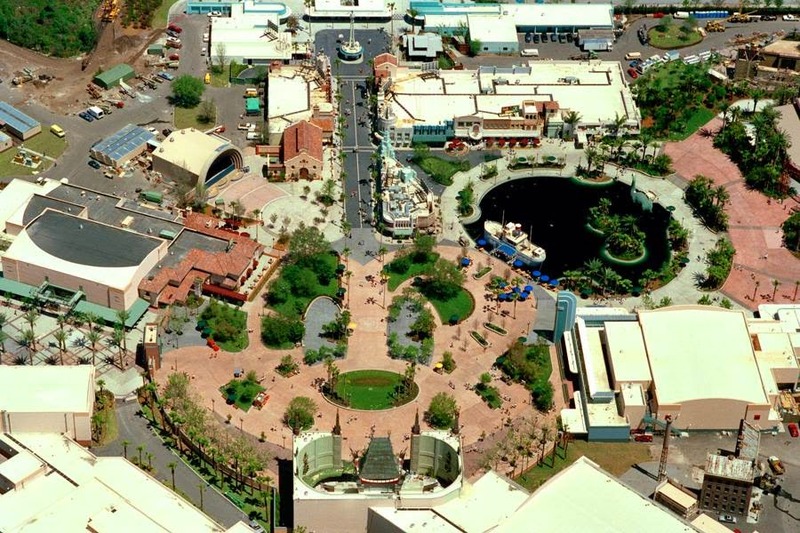 The park has gone through many changes and additions over the years, as evidenced by this overhead shot from the early years. Notice anything...familiar? No longer intact due to construction, reconfiguration, and a giant blue hat, this oversized Hidden Mickey used to be visible from above. Can you see it? This brings back a lot of old and good memories of MGM Studios when it first opened! I miss that this had the largest hidden mickey!